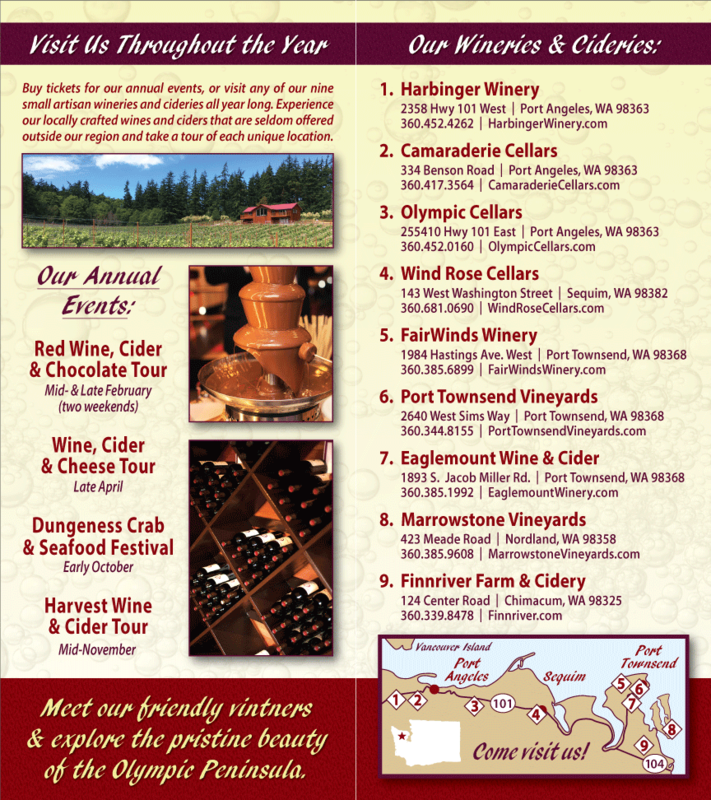 Several of our member Olympic Peninsula Washington State Wineries are involved in special events around the Sound this month. They’re different, their fun, and they’re certainly worth a look. Now that summer has finally reached the Pacific Northwest, get out and enjoy it! Toast a successful jump with Olympic Cellars Washington State Wine. Pair Washington Wine with skydiving? Why not. Join “The Working Girl First Jump Club” for an evening of Tandem Skydiving into the field behind Olympic Cellars Winery on August 10 and August 24. Jumps start at 5 p.m. and will run hourly in groups of 5 – 6 until all have jumped. Participants will certainly be served Olympic Cellars Washington State Wine, but not until after the jump. Friends and family are invited to watch at the winery and enjoy a picnic dinner while waiting. For more information, please see Olympic Cellars. The Finnriver Farm Cider Dinner is less likely to make your adrenaline run, but it too promises to be a superlative event. Join the folks from Finnriver Farm and Cider and Chef Mark Bodinet at the Copperleaf Terrace, where you’ll be treated to inspired cuisine paired with Finnriver Washington State Ciders and fruit liqueurs. Copperleaf Terrace is located at Cedarbrook Lodge, a tranquil setting south of Seattle. The five-course dinner is a farm-to-table meal made with local ingredients, including Finnriver Farm’s own strawberries. For the menu, please visit Cedarbrook Lodge. To make a reservation, please call 206.214.4282. The cost is $55 per person (plus tax and gratuity), and seating is limited to the first 24 guests. Camaraderie Cellars Washington State Wine will be available at the Gig Harbor Wine and Food Festival, August 6, 2011. The festival will highlight Chef Kevin Gillespie, 2 time semifinalist for the James Beard Foundation “Rising Star Chef of the Year” award, known for bringing the farm to the fork. There will be celebrity chef appearances, a cook-off finale, and wine seminars, among other exciting events. Additional information is available at the Gig Harbor Wine and Food Festival.